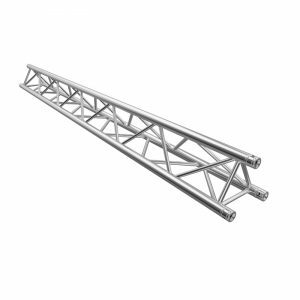 These tri truss sleeves provide the perfect coverage for your truss set-ups, and are available in a variety of options. The black versions are particularly good at disguising truss in darker environments, whilst the white versions give a clean look, ideal for wedding and marquee dressing. When utilising the white sleeves, why not add a slimline style par can or light effect within the base area of your truss, illuminating it from within. The side velcro strip allows for easy installation onto your truss, saving time on set up.